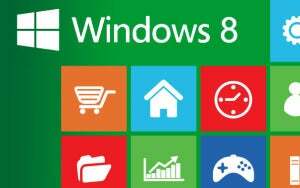 If you're not familiar, Windows 8 has two completely different interfaces: The new tiled Windows 8 UI (User Interface) first seen with Zune and Windows Phones, and the classic Explorer desktop with a slightly updated look. The problem for many users is that there's no Start Menu for the latter: You initially use the Windows 8 UI to launch all applications no matter which interface they use. You can create desktop and taskbar icons to launch apps, but with the vast majority of existing programs support only the Explorer desktop, this results in a either a very busy desktop or a continual and somewhat jolting switch. Stardock has fixed the most frequent complaint about Windows 8: the lack of a Start Menu. Thanks to Stardock Software, however, you can have your Windows 8 cake and Start Menu too. The Start8 beta is a free download (it'll be $5 when the final version ships) that almost completely replicates the behavior of the Windows 7 Start Menu. It even matches the new look. I don't really have to tell anyone how the Start Menu works, right? Start8 also lets you disable the Windows 8 hot corners. Start8 works great and eliminates the need to access the Windows 8 UI unless you want to. The only issue with Start8 that I spotted was slightly slow and somewhat inconsistent response of the Windows 8 hot corners; they didn't seem as smooth as they did without Start8 installed. I hope the shipping program will be more responsive. I expect Stardock to make a small fortune off of this program, and if I were Microsoft I'd send the company a thank you note for making Windows 8 more usable. If you're using the Windows 8 preview, install the free Start8 beta and see just how much of a difference a Start Menu can make. Note: The latest 0.95 beta fixes some of the issues mentioned in Lincoln Spector's review from early September. The "Try it for free" button on the Product Information page takes you to the vendor's site, where you can download the latest version of the software. It remains free only until the beta period ends.